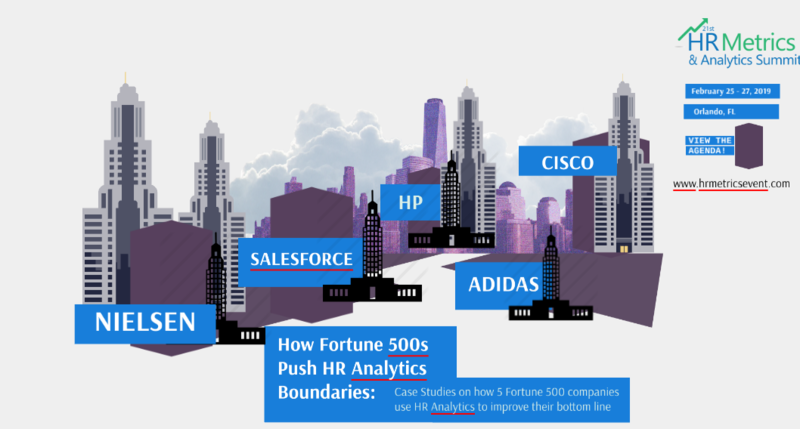 Nielsen, Salesforce, HP, Adidas, and Cisco are among some of the top Fortune 500 companies that have used people analytics to improve their HR departments. Learn about how they used HR analytics transform from within and how you can do the same. Join us at the 21st HR Metrics & Analytics Summit, running February 25-27, 2019 in Orlando, FL.